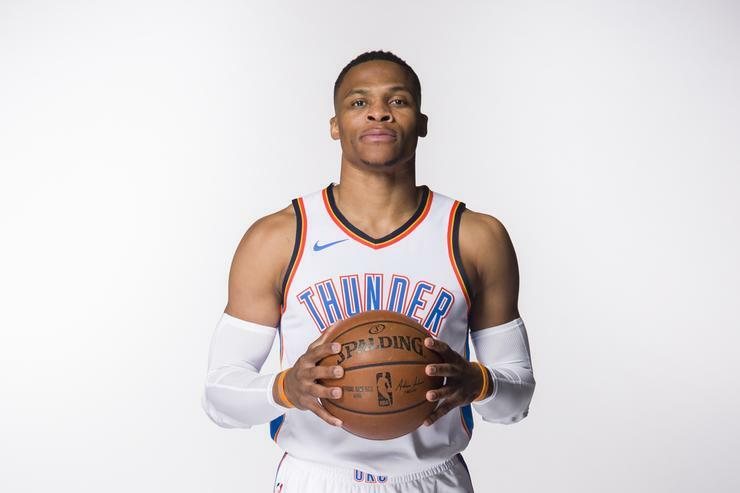 Sentient tornado Russell Westbrook notched his 18th triple-double last night, matching his entire total from the 2015-16 season less than halfway into the 2016-17 season. Indeed, Westbrook is having a historic campaign. He is averaging 31.0 points, 10.5 assists, and 10.7 rebounds. What's more, he is an absolute highlight machine who distinguishes himself from stars like Stephen Curry, LeBron James, James Harden, and Kevin Durant through his death-defying acrobatics. Enjoy a few of Westbrook's best highlights from the season to date below.